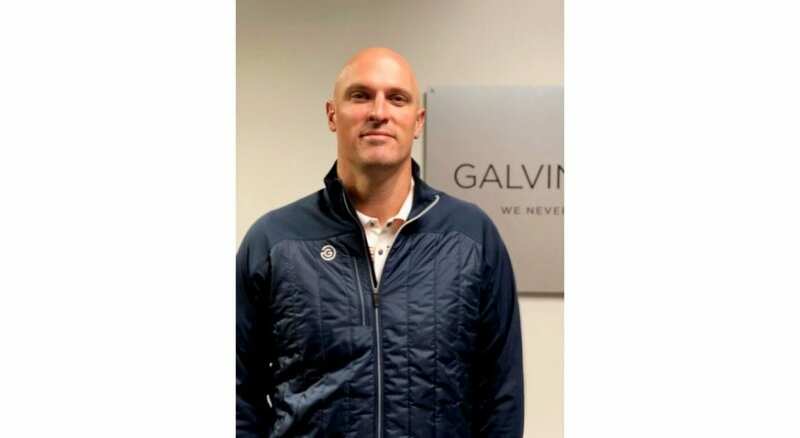 Steve Hendren, President of Galvin Green USA, joined the team in 2017 and facilitated the opening of Galvin Green’s new headquarters in Carlsbad, California. Boasting more than 15 years of industry experience, Hendren began his career as a Regional Manager with Worldwide Golf Enterprises, eventually joining Nike Golf as a Regional Sales Director and Director of Strategic Accounts. Among his responsibilities, Hendren managed key accounts in golf and sporting goods and directed a sales team. I started playing golf when I was 12 years old. My parents were members at a tennis club in Orange County, CA that had a 9-hole executive course and driving range. They put me into a junior camp one summer, and I immediately fell in love with the game. My mom would drop my childhood best friend and I off at the course and we would go out and play as many holes as we could before they had to pick us up. I played as often as I could through high school with that same childhood friend, and my father, who picked up the game shortly after I did. I played college baseball at West Virginia University, which limited the amount of time I had to play golf. Right after graduation, a few days after moving back home to Southern California, I was at Roger Dunn Golf Shop in Santa Ana and decided to fill out an application, thinking it would be fun to work there until I figured out what I wanted to do with my life. I was hired as a cashier but fell in love with the industry and the company and spent the next 10 years there, the last five of which I was a regional manager in Northern California and Hawaii. I was fortunate to be involved in nearly every aspect of the business and got to learn a lot about the industry and business in general. After 10 years, I was approached about an opportunity with Nike Golf. I spent seven years with them as a sales rep, regional sales director, and strategic account director, learning the differences in working for a relatively small, privately owned company and a multi-national corporation. We went through several changes during my tenure there, which helped me understand the uniqueness of the golf industry and how valuable it is to be authentic to the game. This past December, I was given the opportunity to lead the U.S. operation for Galvin Green. After meeting the leadership team in Sweden, getting to know the products, the people, and the culture, it was an easy and exciting decision to make the move. 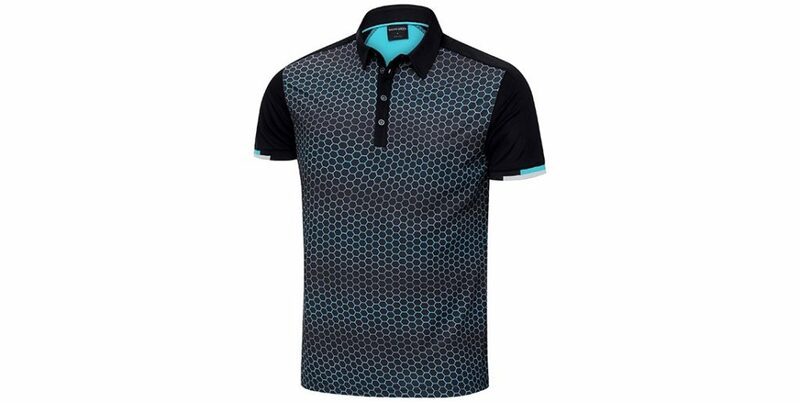 Galvin Green is a pure golf brand, with a 27-year history in the golf business and a strong loyal consumer base. We’re rooted in golf and our brand vision is clear, to be the leading premium performance brand in golf. What's your assessment of the consumer golf market for 2019? For Galvin Green, it’s been great. I know there are challenges with the weather throughout parts of the country, but we’ve been fortunate to experience significant growth in new doors and with our existing partnerships. We’re very optimistic for the remainder of the year, as we approach the heart of the golf season. What's the key distinguishing item between Galvin Green and your competitors? It’s difficult to identify 1 item that distinguishes us from the competition. We’ve earned the reputation for producing the best outerwear in golf, and in that category, we’re launching an innovation this year that could change how golfers perceive playing in the rain. Our new Ashton Gore-Tex ShakeDry jacket is the lightest Gore-Tex jacket we’ve ever made. It feels and performs like you’re not wearing anything. 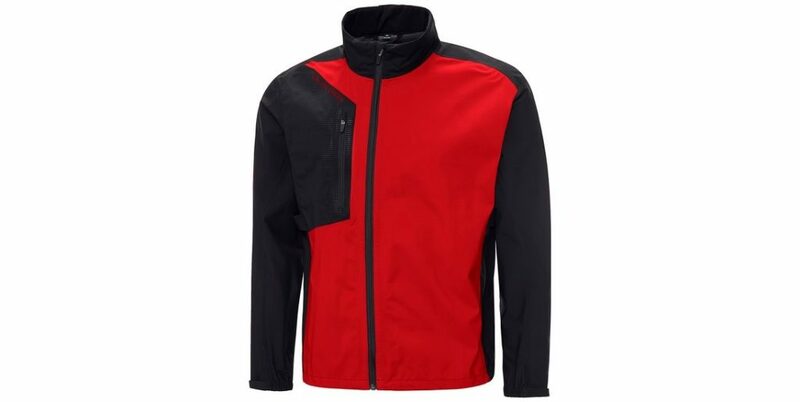 It’s truly revolutionary in the world of golf outerwear. European owned apparel companies have been gaining significant traction in the American market place over the last several years. Why do you think that is? While there are several similarities between some of the European golf clothing companies, there are also significant differences. The perception of quality and fit is a contributing factor, but we place great value on performance and comfort. We’re a pure golf brand, and we’re committed to creating products that help golfers perform their best on the course. We use the best materials and believe that the details make the products.We have a saying that “We Never Compromise”, and we take that approach with everything we do. Given that dynamic -- how is Galvin Green shaping its growing influence in the States? Products and partnerships. For our entire 29-year history, we’ve been focused on making premium products for serious golfers. In the US, we’ve simply embraced the brand reputation for quality and performance and have forged partnerships with many of the best golf facilities across the country. By focusing our distribution on only the best golf, we’re able to stay focused on our core consumer, and grow our reputation as one of the best performance apparel brands in golf. A number of past successful apparel companies have often sought to expand their profile and with that comes the risk of stifling creative innovations. What's the balancing point between the two elements and can companies truly expand growth without becoming stale and predictable? We’re a different company than virtually everyone else in the golf apparel business. For starters, we’re a golf brand, and we’ve always been a golf brand. We don’t make ski gear, or baseball gloves. For nearly 30 years, we’ve remained focused on golf, and will continue to be. What motivates us is to be the best, not the biggest. If you’ve had the chance to see the new Ashton jacket we’re launching, you’d agree that we’re anything but stale or predictable. We continually lead with new innovations and technologies that help golfers perform their best. When Galvin Green is considering adding new items to the line -- what's the key determination in putting that into motion? We launch new products when there’s a consumer need, and when we can make them better than both the competition and our own products in the marketplace. We don’t bring new products to market until we’re confident they’re the best. That’s what drives our brand strategy, and ultimately strengthens our reputation for creating best-in-class products. Plenty of companies in the apparel category tout the fashion side and minimize the durability dimension. How does Galvin Green walk this line in ensuring what it produces achieves both aims? 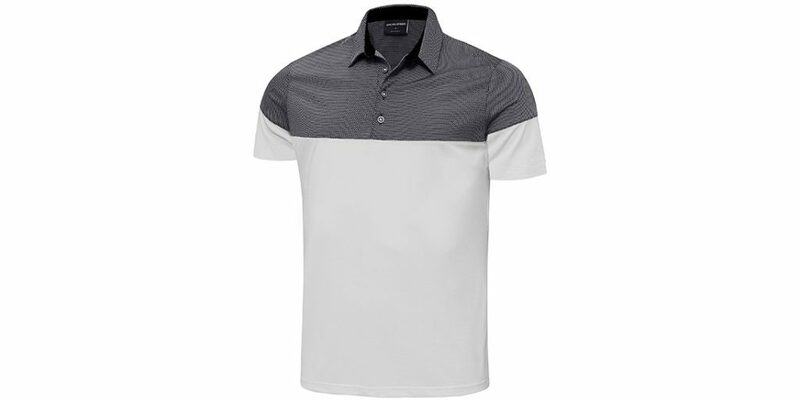 Galvin Green has always embraced the fashion side with bold designs and color. In the early years, we battled the critics that questioned whether we could sell a bright colored rain suit. 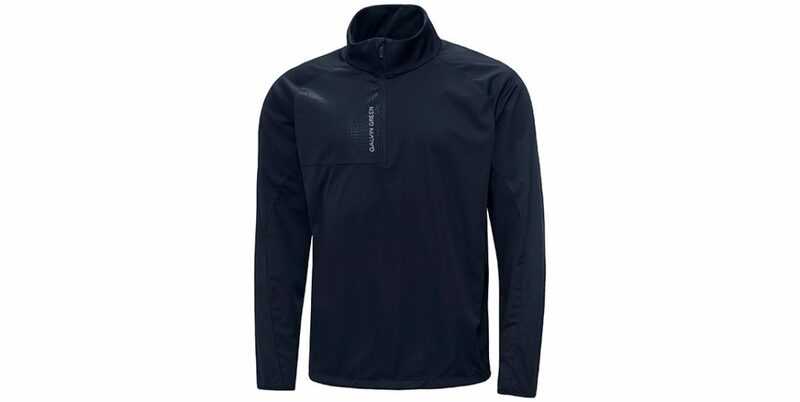 We were the first company to produce a Gore-Tex golf jacket in a color other than navy or black. What stands out most with our consumers though, is our commitment to performance and durability. There’s no better way to prove it than with our lifetime waterproof guarantee on our Gore-Tex products. I don’t know of any other brand in golf that offers a lifetime guarantee. That really illustrates our commitment to both quality and performance. Is usage on the professional golf tours an essential component in brand visibility and credibility? It can be. There are several brands out there that are offering huge endorsement deals. Our ambassadors on the PGA and worldwide tours, partner with us because they value the performance of the products and trust that we’ll help them perform at their best. We’re extremely fortunate and proud to work with athletes like Troy Merritt, Martin Laird, and Ben Silverman, who choose to partner with us for these reasons. What's the split between men's and women's business for the company and how do the genders differ in what appeals to them? The split varies slightly by region, but women’s currently accounts for just under 20% of our global business, but it’s growing and will continue to be a key opportunity for us. I would attribute the growth in our women’s business to the commitment we’ve made to quality, performance, and style. We take the same approach to quality and materials but utilize designs and style that ensure performance and confidence on the course. Some of the best women’s golfers in the world partner with us on tour, and there’s a growing demand with our retail partners as well. There's little question Millennials are becoming more and more of a powerful voice in the golf industry and beyond. What approaches is Galvin Green taking to attract them, while at the same time, still appealing to those from earlier generations? We’ve expanded on how we communicate with the consumer. Obviously social media has become a greater part of how we tell our story. At the same time, we work closer than ever with our retail partners to ensure our story is being told to our loyal consumers and golfers that are just getting to know the brand. We’ve also expanded our product line to include new designs and details to attract a younger and edgier consumer. PING has unveiled its new performance driven 2019 Spring / Summer men’s apparel range.